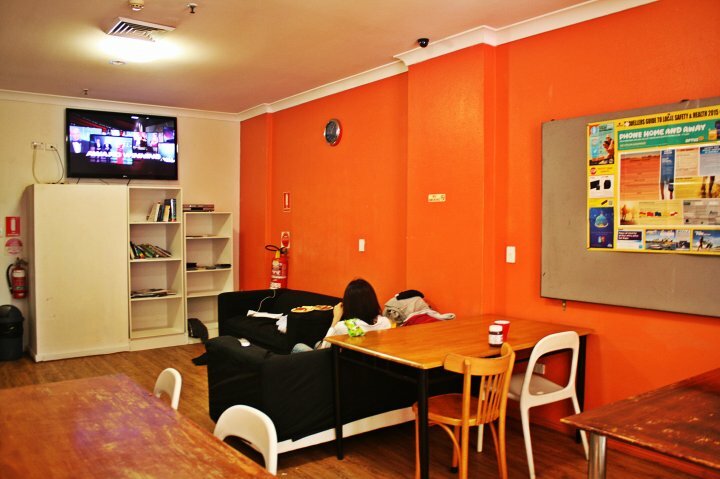 Sydney Backpackers is a purposely built boutique hostel located right in the heart of Sydney's CBD, 30 Meters to the Entrance of Town Hall Railway Station. 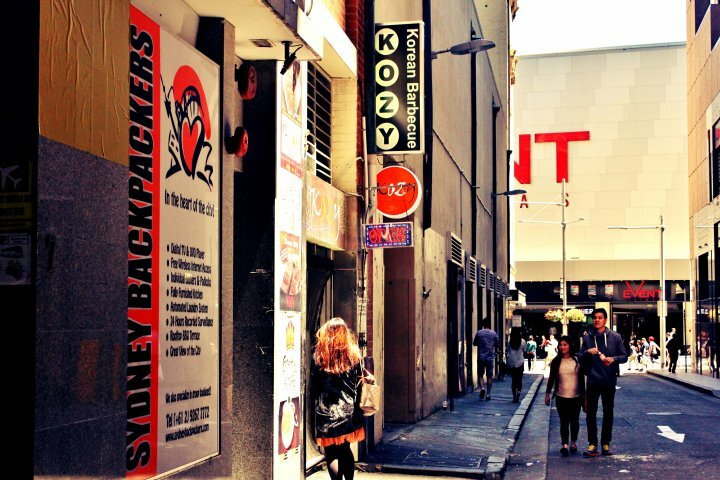 We are in the walking distance to everywhere must-see in Sydney for sightseeing and we know what our guests want. 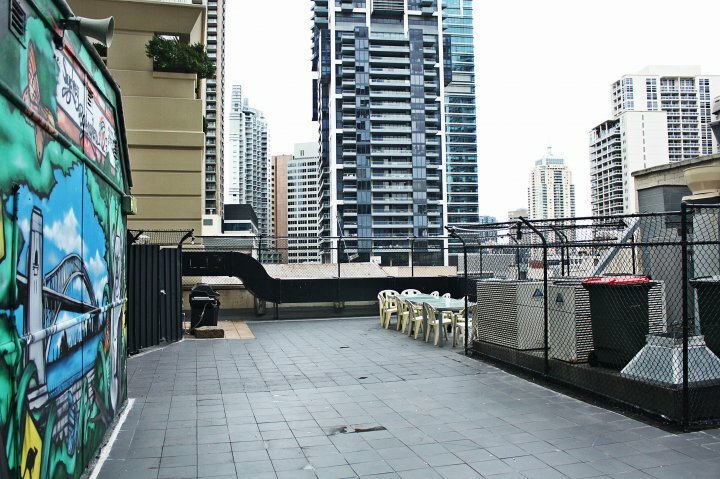 Since we are located in the heart of the city, we are close to the main bars, restaurants, clubs, shops, cinemas, public transport and everything else you might need in this beautiful city! 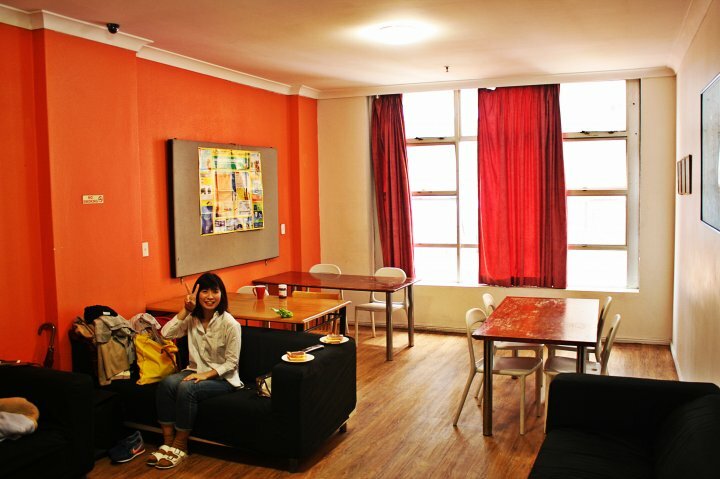 Sydney Backpackers is 1 of 5 hostels in Sydney capable in catering major groups and classified 3.5 stars by AAA Tourism. 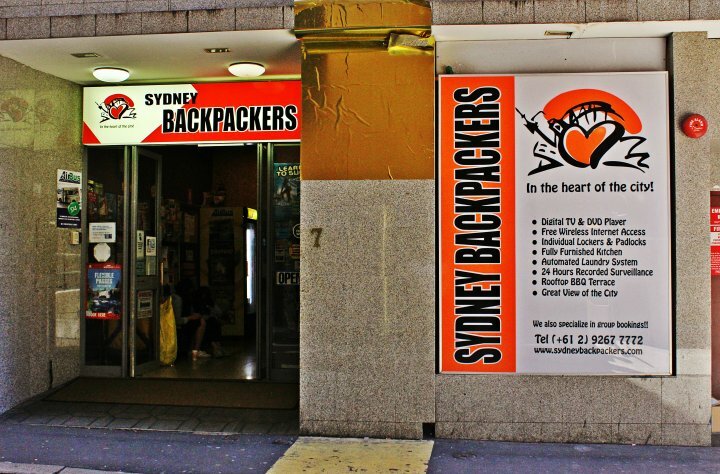 We are also awarded WINNER OF 2006 CITY OF SYDNEY BUSINESS AWARDS for an outstanding backpacker in year 2006 and 2012. 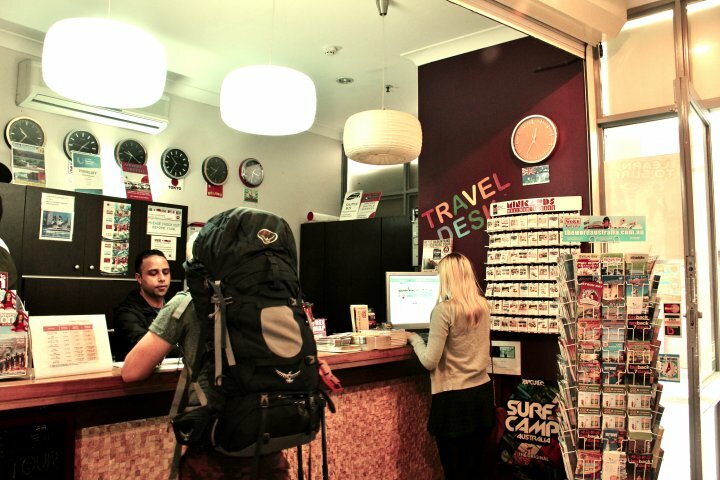 Sydney Backpackers is well known from individuals and groups visiting Sydney domestically and internationally and given lots of good feedbacks and complimentary for our good services. 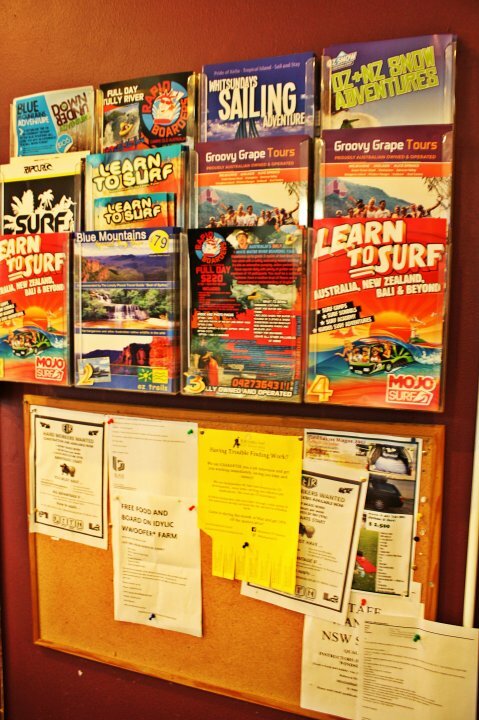 We proudly say that we specialize in group bookings as we have know-how of handling groups and have rooms to accommodate a group of up to 150 people or more. 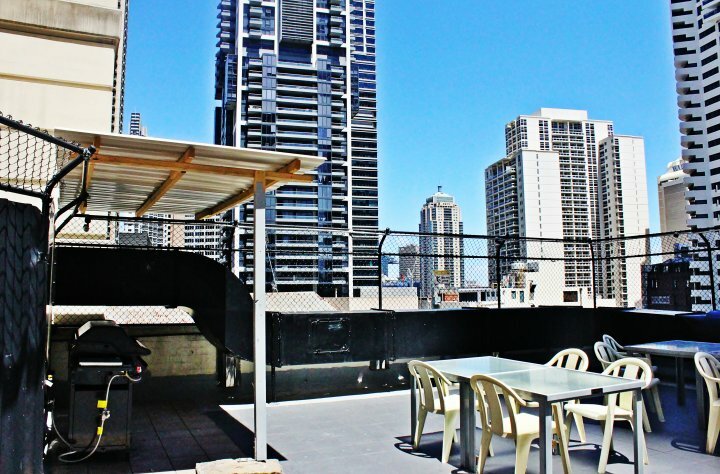 We are in the walking distance to everywhere in Sydney for sightseeing (Opera House, Harbour Bridge, Darling Harbour and heaps more attractions) and everything you need (shopping centers, supermarkets, cinema, restaurants, transport). 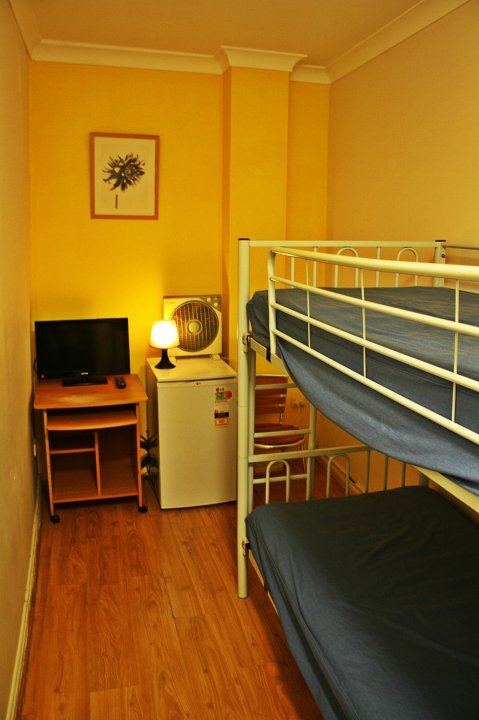 This is the best quiet location that you would ever image to find if you think of staying in a budget accommodation right in the middle of the city. 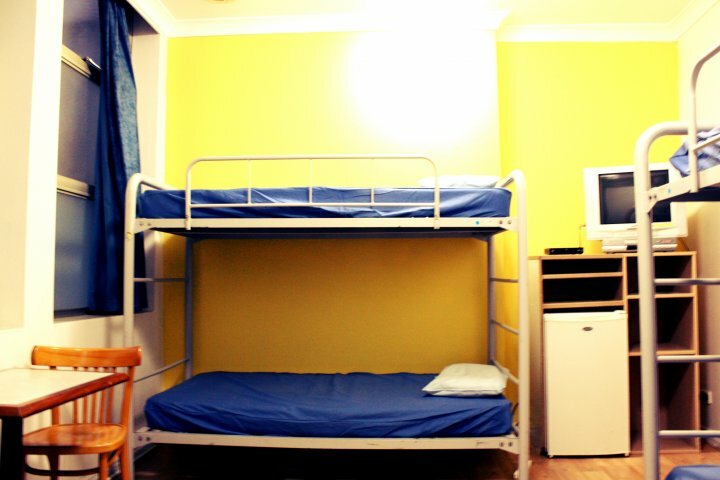 Very spacious room with a bunk bed for 2 people. 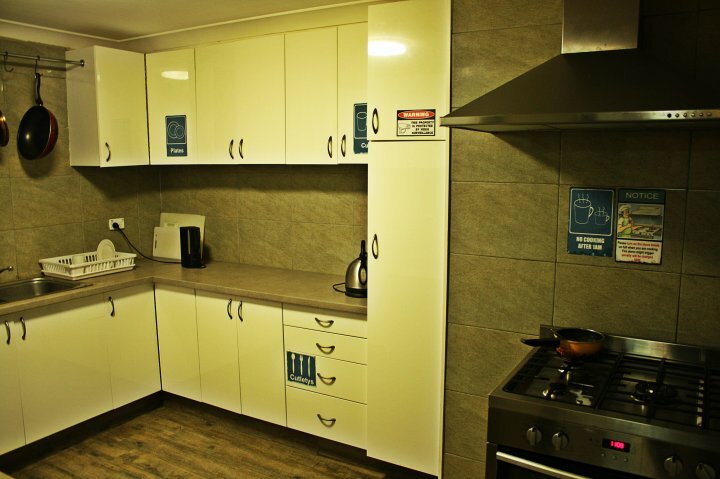 Each room has a Fridge, Digital TV, DVD Player and Security Lockers with Padlocks supplied when check-in. Sanitized white linen & Blankets given and already included in the room rate. 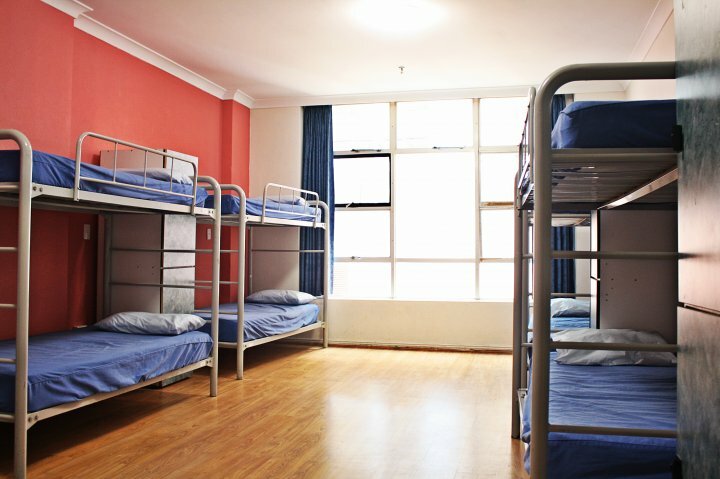 Very spacious dorm with 10 Beds. 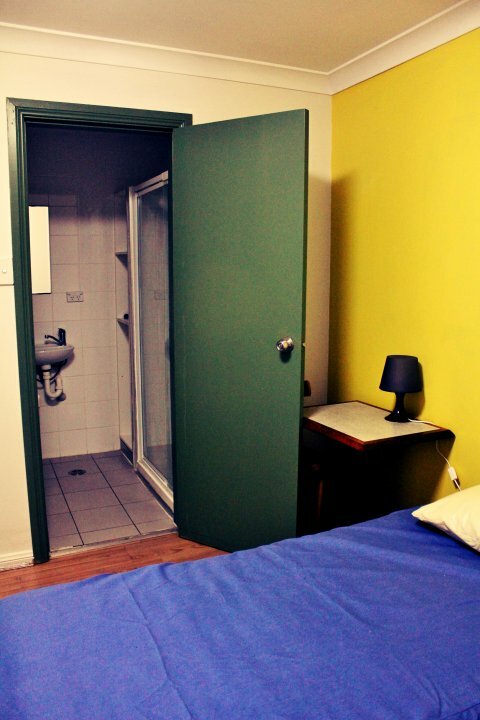 Each room has a Fridge and Security Lockers with Padlocks supplied when check-in. Sanitized white linen & Blankets given and already included in the room rate. 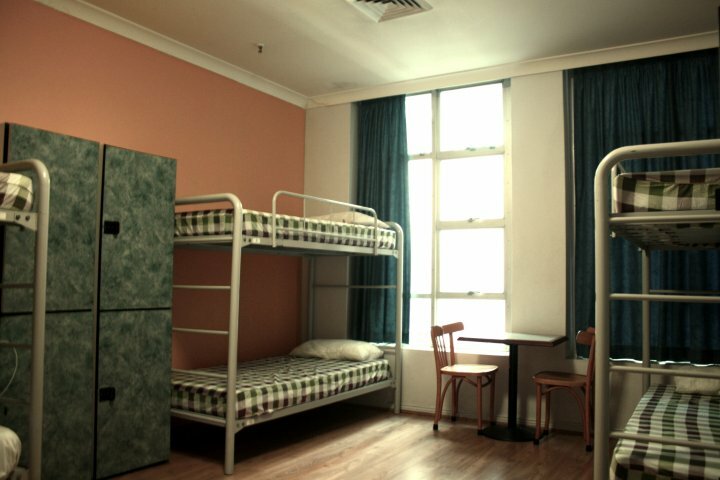 Very spacious dorm with 12 Beds. 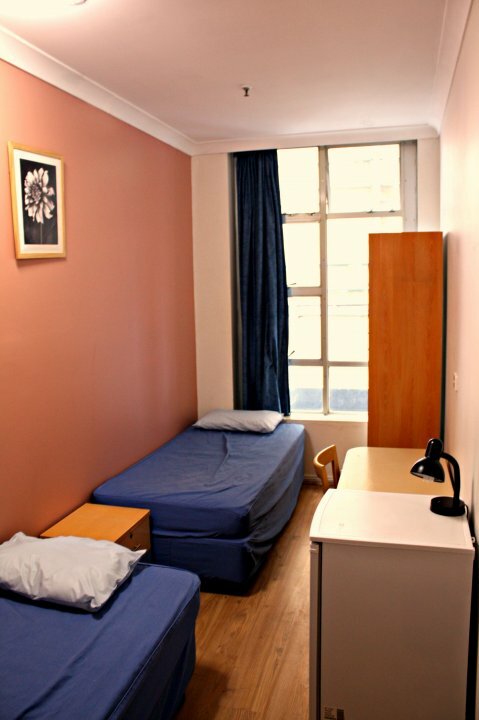 Each room has a Fridge and Security Lockers with Padlocks supplied when check-in. Sanitized white linen & Blankets given and already included in the room rate. 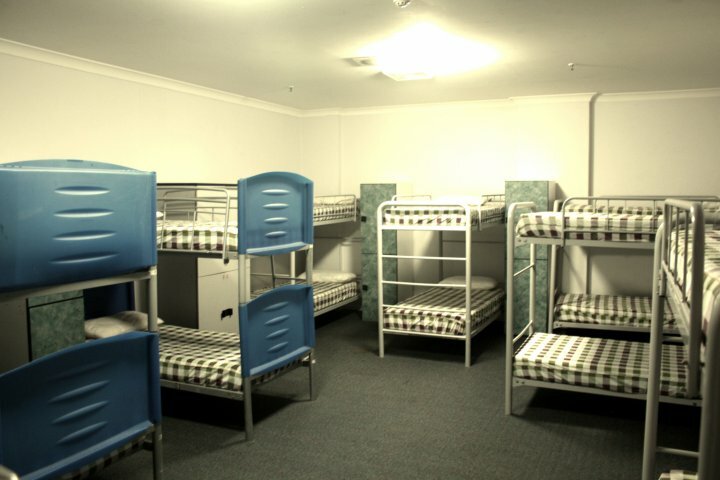 Very spacious dorm with 6 Beds. 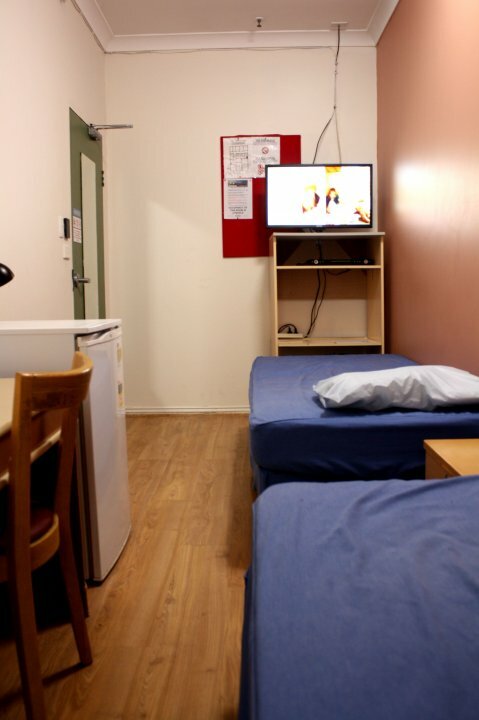 Each room has a Fridge, Digital TV, DVD Player and Security Lockers with Padlocks supplied when check-in. Sanitized white linen & Blankets given and already included in the room rate. 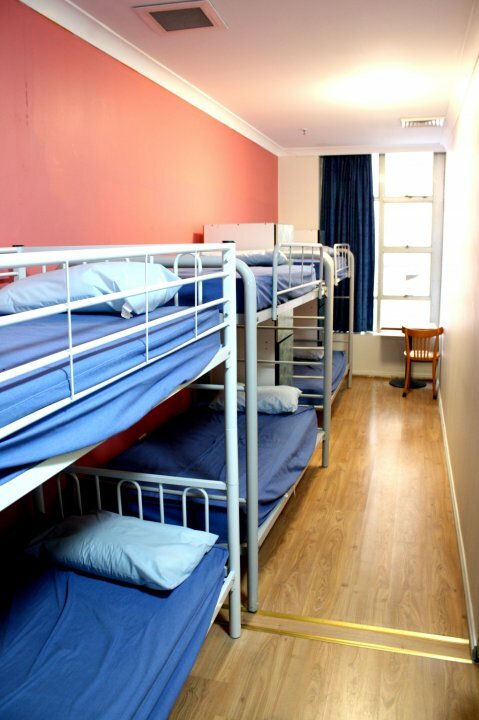 Very spacious dorm with 8 Beds. 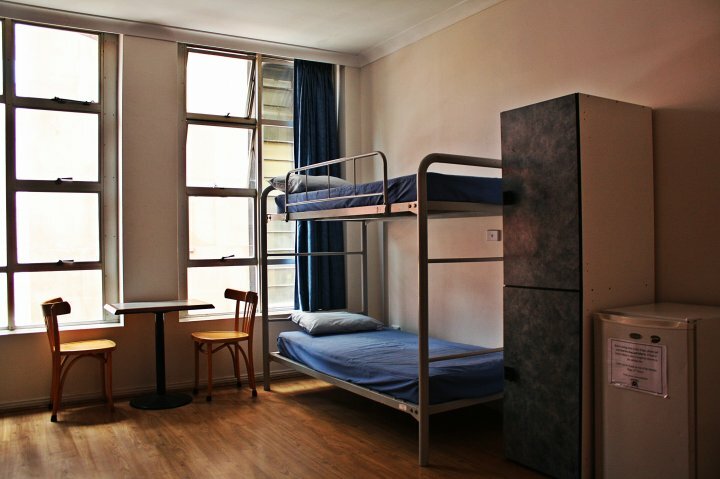 Each room has a Fridge and Security Lockers with Padlocks supplied when check-in. Sanitized white linen & Blankets given and already included in the room rate. 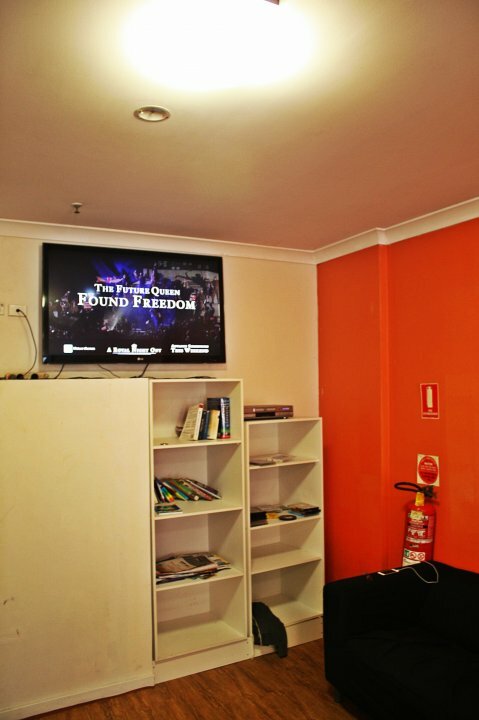 Each room has a Fridge, Digital TV, DVD Player and Security Lockers with Padlocks supplied when check-in. Sanitized white linen & Blankets given and already included in the room rate. 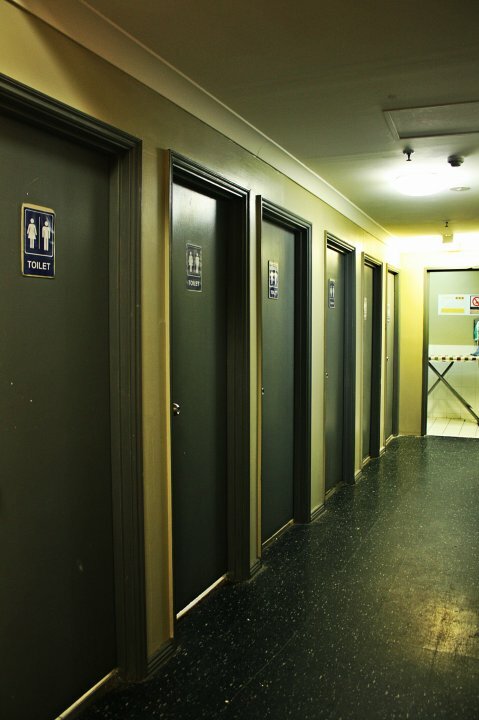 24-hour video surveillance for the entire building and fire exits. 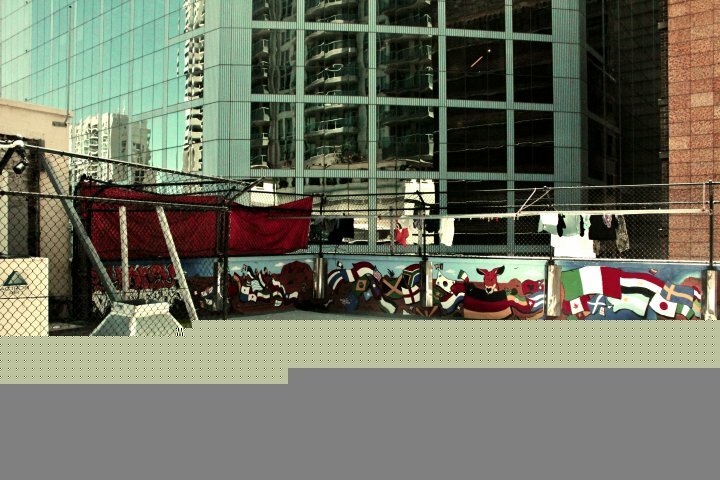 There is a $30 key deposit required which is refundable upon check out. Shuttle Bus - A shuttle bus pick up service can be arranged for our guests, you can simply give us a call when you arrive at the airport and have your luggage collected. 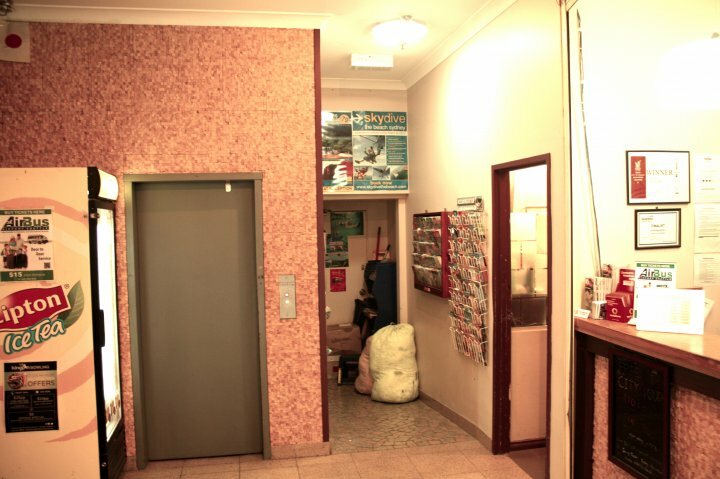 We will ask you to go to the meeting point according to your point of arrival. 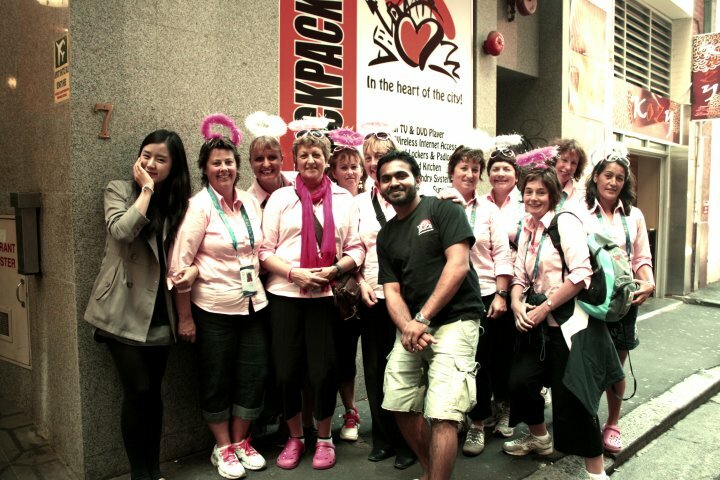 The shuttle bus driver will pick you up from the meeting point and drop you off at our doorsteps. The travelling time is approximately 30- 60 minutes depending on the traffic and the timing for the shuttle bus operation is from 5 am to 7 pm. Train - To take a train, you have to go to the train services within the airport and get off at Town Hall station and we are just 30 metres from the station entrance. 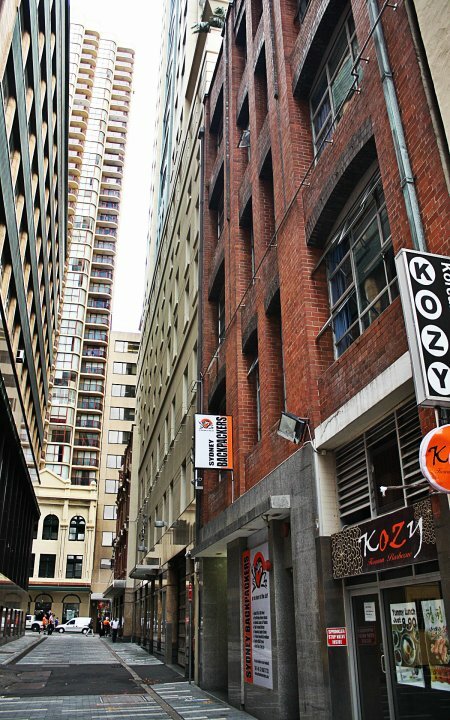 Once you take the exit no.3 to George Street, you will find us in the lane way which is opposite to Evemt Cinemas next to Star Bar. The travelling time on the train is 15-20 minutes and the train services are available every 15 minutes. 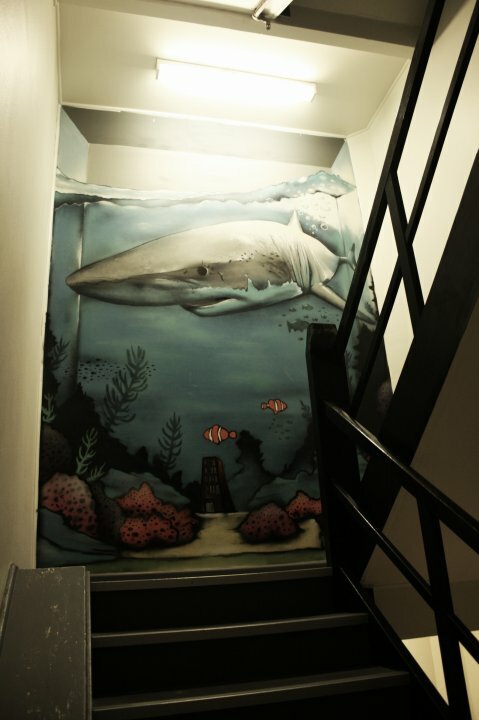 Cab - If you taking a cab, you have to tell the driver our address and the cab will bring you here. The travelling time is approximately 30 Minutes. If returning to the airport after your stay, we can have your shuttle bus booked at your convenient time and it will pick you up right at our property. The fare is AUD15.00 and they run every 30 minutes between 5 am and 7 pm every day and will drop you off at any terminal at Sydney Airport. 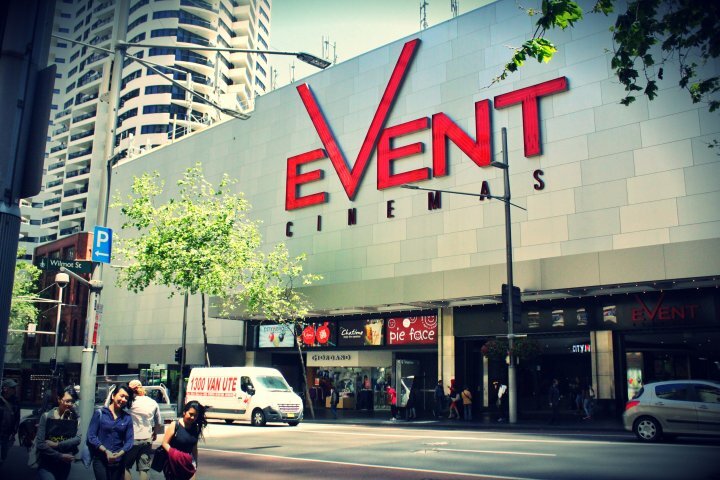 Sydney's nightlife is second to none, with cinemas, theatres, pubs and nightclubs to keep you permanently entertained, all of which are close by. 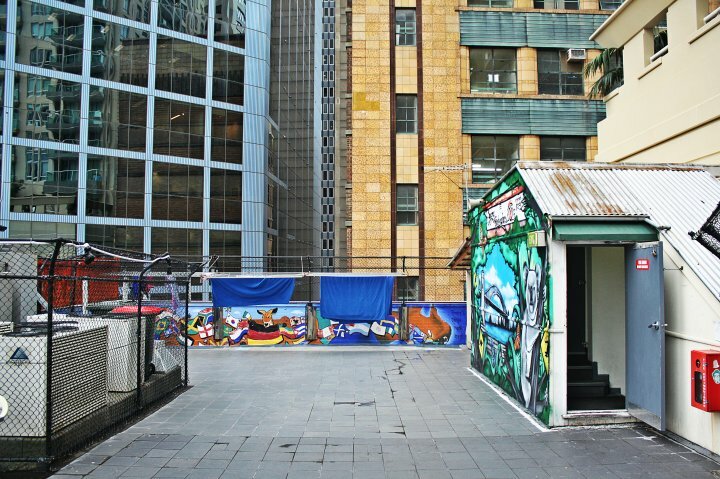 You can practically fall out of bed into Sydney's reliable public transport system with buses and trains right at your door. 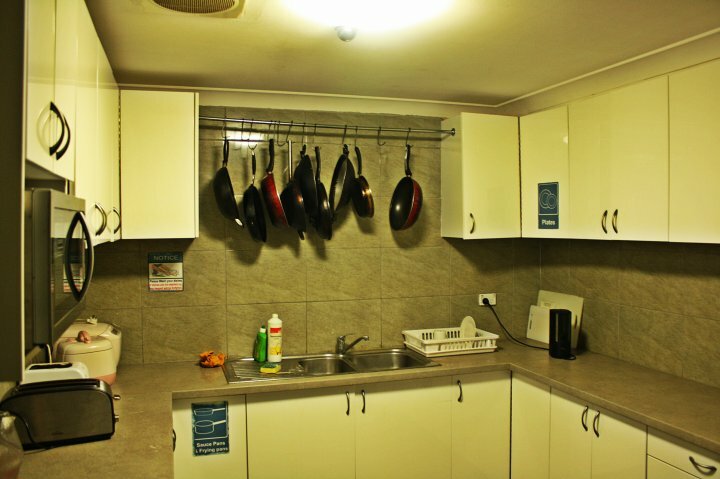 You are also only a short bus ride away from the ever-popular Bondi Beach. 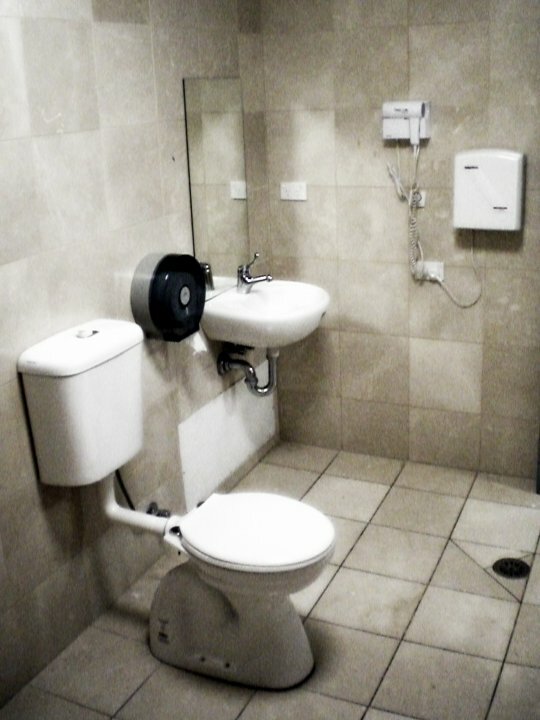 Sydney Airport is only 9km by direct bus or rail link. 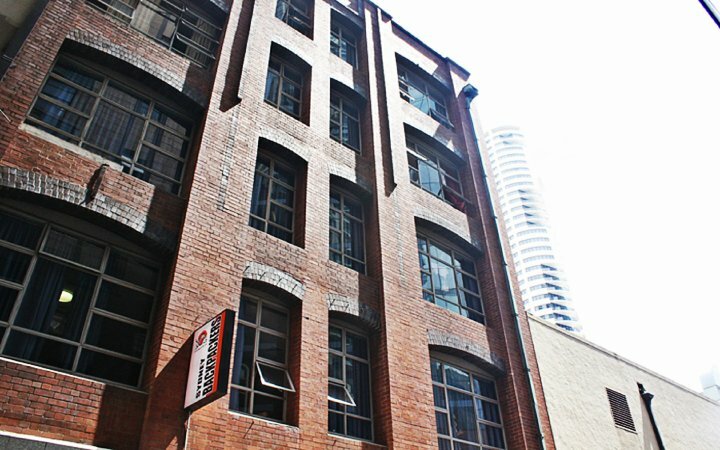 We are also down the road from some of Sydney's most historic tourist attractions, museums, galleries, libraries and our world famous Opera House. Hungry Surrounded by McDonalds, KFC, Pizza Hut, Taco Bell to name but a few, you won't be hungry for long!